We have launched the show home at Avery Walk, a collection of nine architecturally striking townhouses close to Clapham Common. Situated on a quiet new mews, the three bedroom homes are finished in attractive yellow brick and combine traditional lofty townhouse proportions with the outstanding contemporary design, specification and finish. Each house enjoys a crowning jewel in the form of a large roof terrace, accessed via an automated skylight, with far reaching views over London taking in some of the capital’s most iconic buildings including Battersea Power Station, The Shard and Canary Wharf. There are also photovoltaic panels at roof level, ensuring reduced running costs for residents. 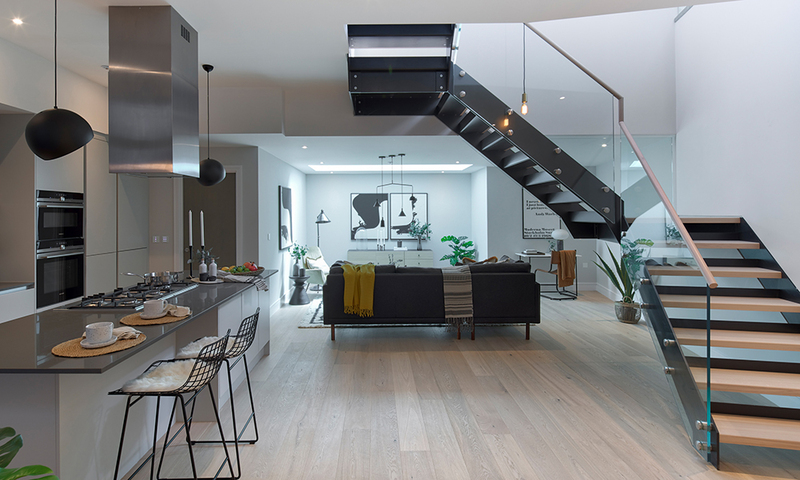 Inside, the houses are light-filled, with expansive, unique layouts, punctuated by a vast open plan kitchen/living/dining space forming the heart of the home. The houses further benefit from an adjoining patio garden to the core living space, a utility room and additional reception room upstairs. Finishing touches include bespoke kitchens with contemporary Siemens integrated appliances, Quooker hot water taps and individual wine coolers. Wet underfloor heating runs throughout with Oak engineered timber flooring to the lower and ground floor living areas, and luxuriously appointed bedrooms and bathrooms. Residents have the added peace of mind of a 10 year CRL new homes warranty, as well as secure parking. Avery Walk is situated to the north side of Clapham Common, which plays host to a number of events throughout the year and is particularly popular for outdoor fitness classes during the summer. The favoured enclaves of Clapham Old Town, Battersea, Northcote Road and Abbeville Road are all nearby, providing an appealing mixture of independent shops, cafes, gastropubs and restaurants. Equally, there is an excellent selection of schools, both English and French speaking, at both primary and secondary level nearby. Clapham Common Underground (Zone 2) and Clapham Junction Rail are located close by, providing easy access into London and beyond. Prices start at £1,750,000. To find out more, please visit the developments section of the website or call our sales team on 020 3828 0128. 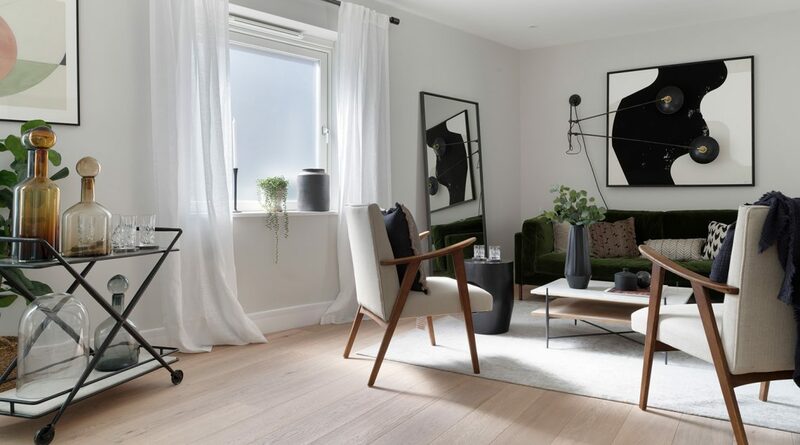 A boutique collection of nine townhouses set in a newly created private mews just moments from Clapham Common.